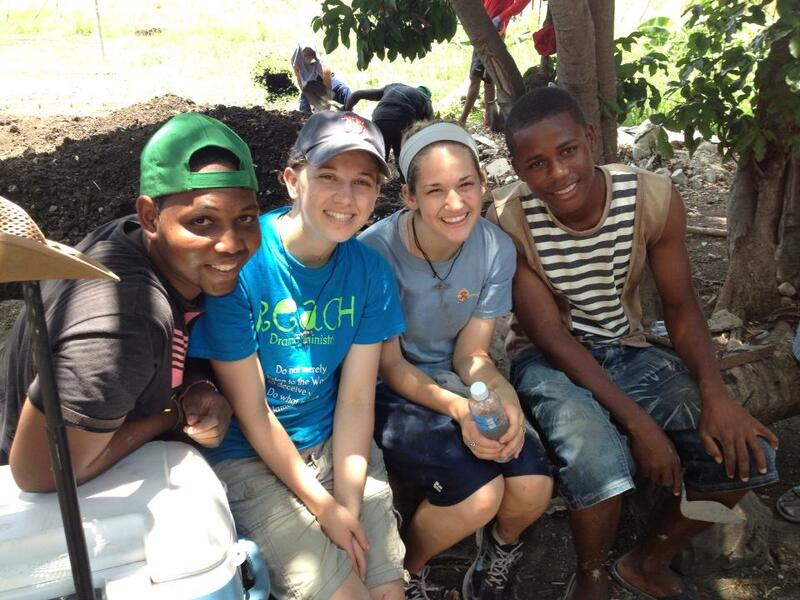 Sarah checks in with an update as the Eastern College DR team wraps up their week of service. Hola! So I was asked to write another update about our trip so far. However, I am a procrastinator of the worst kind. So, this morning, as I considered all the things I have to pack up before we grab a hasty breakfast and wave "adios" to this beautiful island, I was trying to think up a way I could use my words to bring glory to God AND give an idea of our trip--a way to express the things we have felt as we watched this week turn into a memory. But how could I do that? How could I possibly explain what it was like to feel the sun pierce through my dirty clothes as I tried my best to shovel cement into the wheelbarrow? 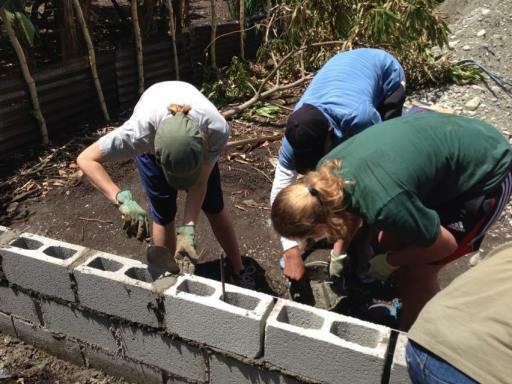 The relief I felt when a small cloud would guard us from the sun for a minute as we mixed cement, and poured it into the cracks of the cinder block school? 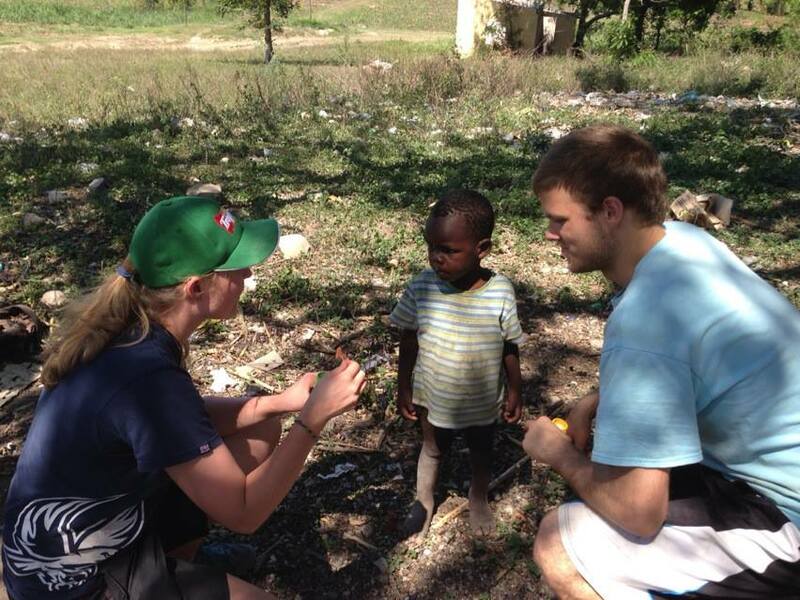 How could I begin to explain the poverty we saw in the two Haitian villages? The way some of the children looked like the joy for life had already fled their eyes? We passed out Beanie Babies and cross necklaces and crayons and did our best to show them the perfect love of Christ as we held them and colored with them and sang songs like "Father Abraham". How can i explain the stark realization, as we drove away in our bus, that those beautiful people cannot ride away from their reality? But let me explain this: it was beautiful to hear that many of the villagers have the hope of Christ in their hearts, to know that I will see them someday in heaven, and we will finally be equally blessed, and our dirty, unfair world will be merely a distant memory. I don't know how to express these moments and one million more to you all. 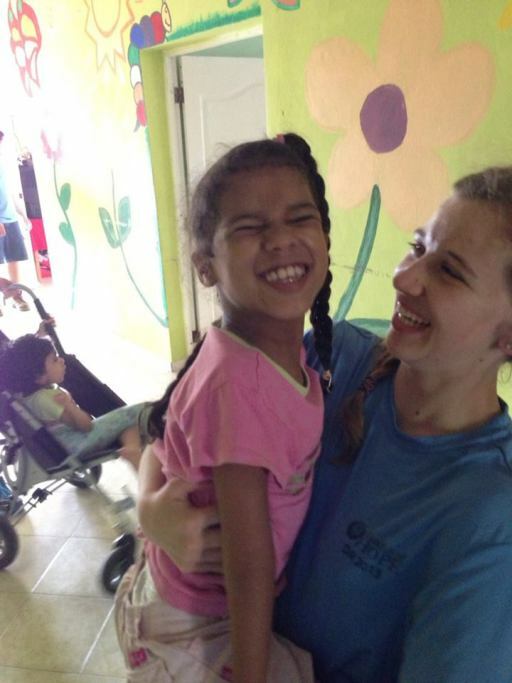 We met the most genuinely loving, Christ-like people down here. We saw sadness and sickness, but we saw a plan that is much more majestic than our own beginning to unfold. and we saw hard work pay off as we rejoiced for the breakthrough in funding for the school--new hope for the children we have fallen in love with here! 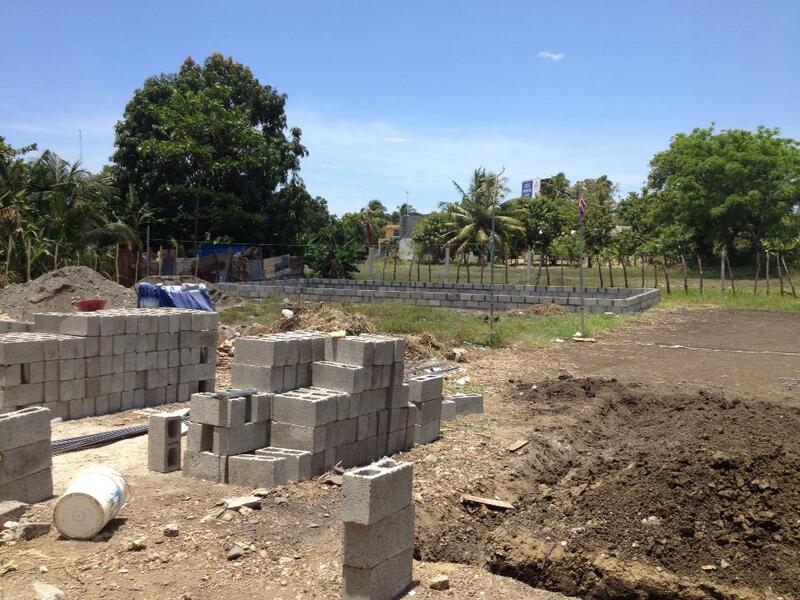 We saw hard work pay off as the cinder blocks began to look like a real structure rather than a taunting pile that told us we could never get the grueling work done. We felt tears on our last night in Catalina, the church service that wrapped up the relationships we created with the people we worked with, the people who fed us, the people who traveled with us to the beach: our brothers and sisters in Christ. I don't know how to express them to you, and maybe I don't have to. Maybe God is preparing a trip just as beautiful for you, so you won't just HEAR these moments, but you can LIVE them. Or maybe He is preparing the perfect situation for you to walk into--sharing the gospel with a friend-and you can experience the joy that only comes when we trust God to flow through us and to hurting people, because you certainly don't need to travel to a third world country to find suffering. So even though I can't express each of these moments to you, I hope you are encouraged to know that our work was all in God's name, and that He will use our human hands to create opportunity for the beautiful people of the D.R. Hey everyone! It's my pleasure to be reporting to you all about our trip to the D.R. On Saturday, we arrived at the Santo Domingo airport around lunch time, after a late night/early morning of traveling. After getting situated with our luggage and becoming acquainted with our designated bus driver Marcos, we headed to an orphanage for disabled children. None of us knew exactly what to expect, and in all honesty, I was really nervous about the inevitably distressing emotions awaiting us at the home. And again, if I am to be completely honest, there WAS distress in some of the children. A lot of them were physically handicapped, and most had some sort of mental disability as well. It is never easy to see such diseases inflicted upon such innocent beings, but a deeper sadness took root because these children don't have parents to shower them with love and kindness. However, we serve a God of mercy and unfailing love, and we were able to pray for the kids, see their beautiful smiles when we gave them Beanie Babies and hugs, and feel the most beautiful love of Christ for His wonderful children. It was sad, and we all felt the ache that comes with compassion for those in the throws of disease and suffering. But God will make all things right in the end, and we can be assured that the children will someday be able to live in perfect peace and health with Christ. 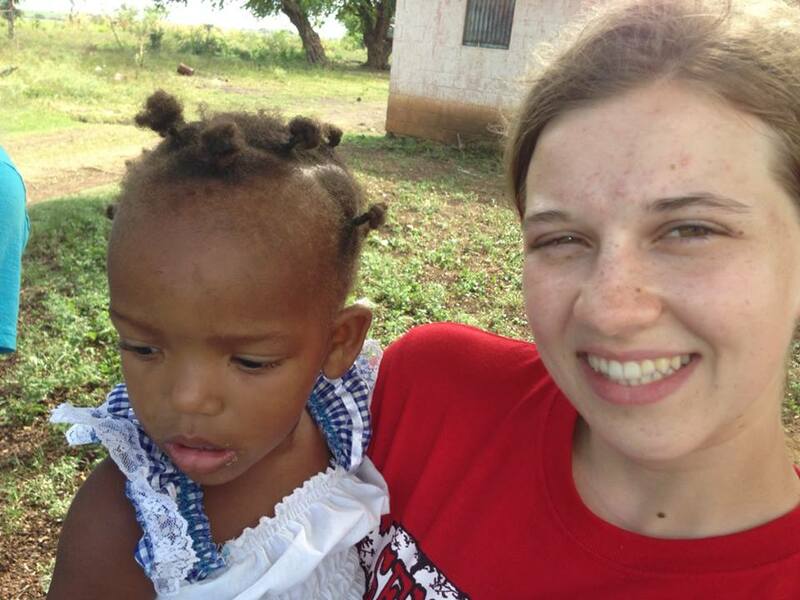 And for now, some wonderful ladies are taking care of them at the orphanage. We felt a similar ache when we visited the Children's Hospital on Sunday. After sleeping off our jet lag and enjoying devotional time by the poolside of our hotel, we headed off with Beanie Babies, tracks, and crayons for a day of ministry at a children's hospital. We met with another Christian ministry who comes into the hospital on a weekly basis to serve the children and their parents through prayer, visitation, and preaching of the word. We each split up and went into different areas of the hospital. My group went to a room for children with Pulmonary diseases. Again, it was really upsetting to see kids of such a young age suffering so greatly, but God was able to renew my strength and just offer the kids more perfect love of Cristo (Christ in Spanish:). David, from the other ministry, preached the gospel to the parents of the sick children, while we handed out Beanie Babies and tracts, along with verse cards. We then prayed over the children and their parents, and played with them as much as we could considering their circumstances. One team member mentioned that the best part was seeing the children's faces positively glow as we handed them the stuffed animal. Again, another example of how Christ's love can shine simply and beautifully even in the most seemingly pain-stricken places. After this, we went to a church service in Catalina, the village we will be serving for the majority of the week. 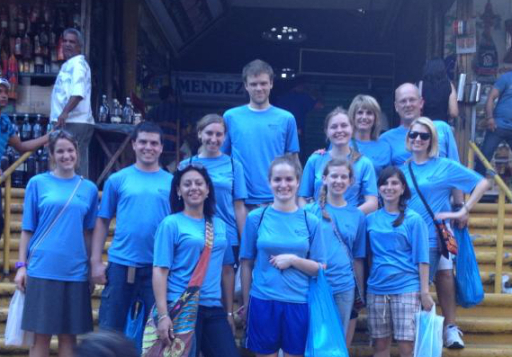 The service was beautiful-our team member Eveny, a fluent Spanish speaker and Dominican native, translated for us. We sang a couple songs for the church (quite sheepishly), but even though we were timid and unsure, the congregation seemed to love it.